This month I would like to see a layout about something you love. Post your layout here when you are done. Happy creating! 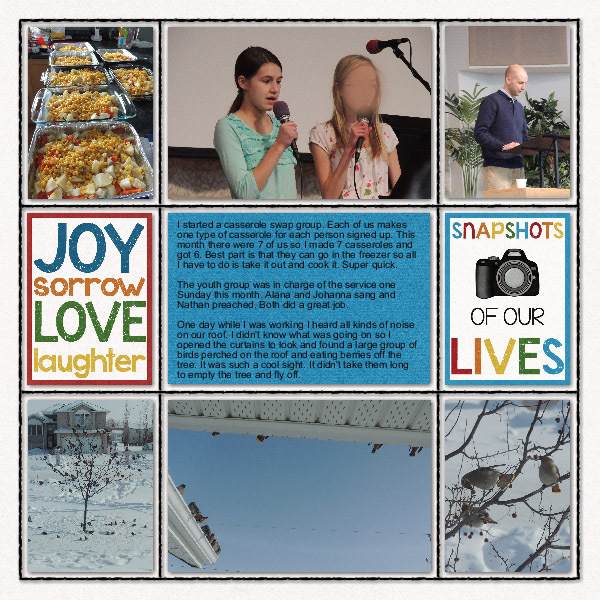 Here are a few of the things I love....hearing/seeing my daughter sing, listening to my husband preach, birds eating berries on a cold winter day, and finishing up my casseroles for the freezer meal swap.